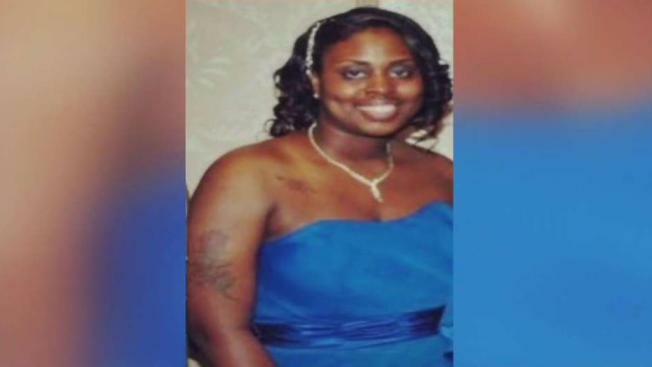 A woman who was killed in a crash in Clinton, Maryland, involving a tractor trailer and a Prince George's County school bus was identified as a 32-year-old mother. Police say Shamika Brown, of Clinton, died in the crash about 6:30 a.m. Wednesday at the intersection of Branch Avenue and Surratts Road. Brown's neighbor Jimeen Doles said Brown was a married mother of two children. "I'm feeling really really shocked and sad at this point because they're really great people," Doles told News4. 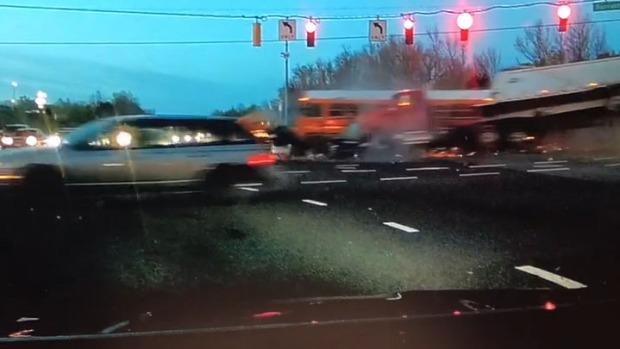 Dashcam video shows the moment a tractor-trailer, school bus and multiple vehicles collided. Prince George's County Bureau Chief Tracee Wilkins reports. 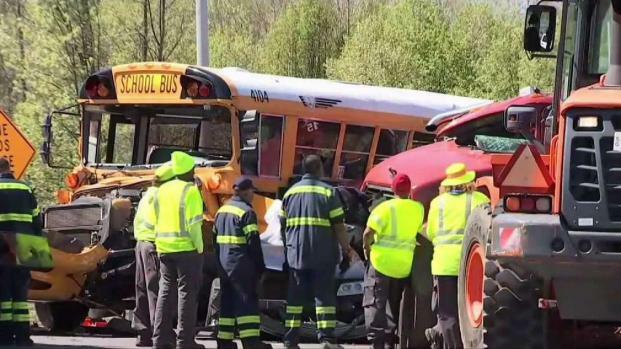 The driver and two high school students on the school bus suffered what appear to be non-life-threatening injuries, authorities said. Two additional drivers also suffered non-life-threatening injuries, police said. The tractor trailer driver and two other drivers were not hurt. Police said Thursday that the tractor trailer drove through a red traffic light while going southbound on Branch Avenue, causing the chain reaction collision. The school bus was headed toward Charles H. Flowers High School, Prince George's County Public Schools said. Video shows it was struck on the side and faced serious damage to the front. The truck was knocked onto its side, spilling its contents over the road. Brown's Hyundai was smashed between the bus and the truck and badly mangled.